So far Ronda Lawson has created 23 blog entries. 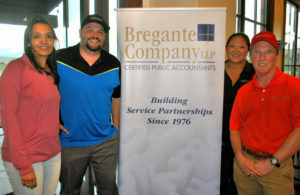 Thank you to all our clients and friends who participated in our 15th Annual Bregante + Company LLP Fundraising Golf Tournament benefiting Agape Villages Foster Family Agency. At the risk of rain, 55 golfers began their 27-hole round at Poppy Ridge Golf Course in Livermore, California at 8 a.m. yesterday, October 25th. Luckily, 15 minutes of light showers turned into a beautiful and fun day of golf. We look forward to seeing everyone again at next year’s tournament. Agape Villages is a licensed foster family agency placing children in foster homes in communities throughout Northern California. They provide needed services to foster families and disadvantaged youth. We are proud to support their efforts for the fifth consecutive year. We are proud to sponsor the good works of CalNonprofits at its 2016 Convention on Thursday, October 6th in Los Angeles, CA. This annual meeting sets the focus for California non-profits for the coming year. Among this year’s full agenda are discussions regarding predictions for the November elections’ impact on non-profits, funding and the privacy of donors. Under a new agreement called “a sweeping new collaborative effort”, tax software vendors and the IRS will team up to fight identity theft refund fraud. This agreement will have the IRS, tax preparation and software firms, payroll and tax financial product processors, and state tax administrators collaborate to identify new steps to validate taxpayer and tax return information at the time of filing. It was found that the ability to answer knowledge-based authentication questions about taxpayers financial dealings, such as car or mortgage payments, was the reason cyber-criminals successfully breached the “Get Transcript” application system. For more information please read the complete Journal of Accountancy article. Please join us at our 13th Annual Golf Tournament and Agape Villages Fundraiser on Thursday, October 23, 2014 at Poppy Ridge Golf Course. Tee off at 8:00 a.m.
All contributions will be donated to Agape Villages Foster Family Agency. Recommended donations are $130 for single players, $480 for foursomes. Additional contributions are greatly appreciated! Cart, range balls, box lunch and prizes all included! Please RSVP as soon as possible, but no later than Monday, October 8, 2014 by 5:00 p.m. with our Pleasanton office manager Mimi Han at (925) 416-0550 ext. 4210 or MHan@bcocpa.com. Looking forward to seeing you on the greens!